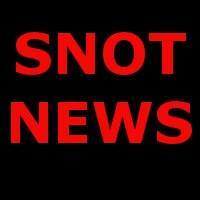 Greetings, Snot News is looking for others who would like to be a part of our Network. This is an Independent Program. We would give you your own sub domain on red dragon tv. Then when you wrote articles for your Sub domain. They would get included in the main page for Snot News. Previous PostBrat Fest: Pro Life Speaker Removed From The Line UpNext PostThis Week In The Sky, Venus, Mercury And Jupiter… Oh My!